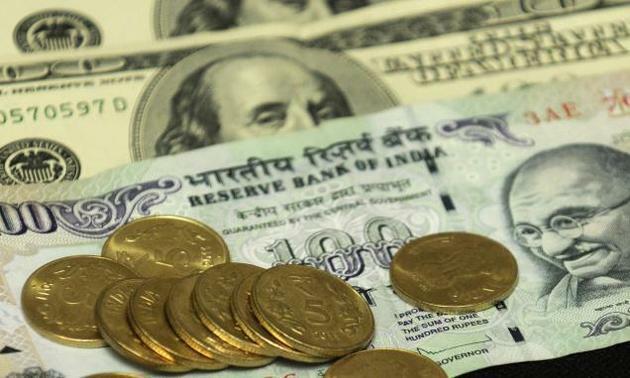 MUMBAI: The rupee appreciated by 30 paise to 69.98 against the US dollar in opening trade Thursday, driven by foreign inflows and positive opening in domestic equities. The rupee opened strong at 70.08 at the interbank forex market and then gained further ground and touched 69.98, a gain of 30 paise over its last close. Forex dealers said selling of the American currency by exporters supported the rupee, but rising crude prices weighed on the local unit and capped the upmove. Besides, fresh foreign fund inflows also boosted sentiments in domestic the forex market, they added. The rupee Wednesday had strengthened by 21 paise to close at 70.28 against the US dollar. Meanwhile, foreign investors (FIIs) remained net buyers in the capital markets, putting in Rs 1,130.78 crore on a net basis Wednesay, as per provisional data. Brent crude futures, the global oil benchmark, rose 0.48 per cent to trade at USD 66.31 per barrel. Meanwhile, the benchmark BSE Sensex was trading higher by 49.01 points, or 0.13 per cent, to quote at 36,685.11 in early trade, while the NSE Nifty was quoted at 11,057.25, up by 4.25 points, or 0.04 per cent.